TNT's new series The Librarians scored a huge launch Sunday night, drawing a combined audience of 7.3 million viewers in Live + Same Day delivery for its two-hour premiere and encore. The fantasy-adventure series opened with 5.4 million viewers for its 8-10 p.m. premiere telecast, edging out TNT's The Last Ship to become cable's #1 new series launch for the year-to-date in Live + Same Day delivery. 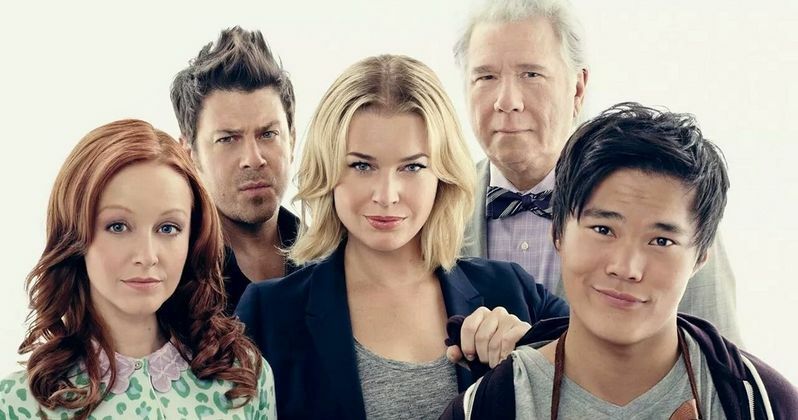 The Librarians did especially well among key demos, with a total of 2.9 million adults 25-54 for the premiere and encore (2.1 million for the 8-10 p.m. premiere) and 2.3 million adults 18-49 (1.6 million for the premiere). The premiere telecast now ranks as cable's #1 new series launch for the year-to-date in Live + Same Day delivery of adults 25-54 and one of the Top 3 new series launches with adults 18-49. With its exceptional premiere performance, The Librarians is on track to join TNT's Rizzoli & Isles, The Last Ship, Major Crimes, Murder in the First and Falling Skies in giving TNT six of basic cable's Top 10 scripted series for the year-to-date, more than any other network. It is also well positioned to rank among the top scripted series of 2014 with key demos. Based on TNT's hit movie franchise, The Librarians centers on an ancient organization hidden beneath the Metropolitan Public Library dedicated to protecting an unknowing world from the secret, magical reality hidden all around. Rebecca Romijn (X-Men), Christian Kane (TNT's Leverage, Angel), Lindy Booth (Dawn Of The Dead, The Philanthropist) and John Kim (Neighbours, The Pacific) star in the series as the newest protectors of the world's mystical treasures, with Emmy winner John Larroquette (Night Court, Deception) as their reluctant caretaker. Noah Wyle (Falling Skies, ER) recurs as Flynn Carsen, the role he played in TNT's movie trilogy. Also reprising their roles from the movies are guest stars Bob Newhart (The Big Bang Theory, The Bob Newhart Show) and Jane Curtin (Kate & Allie, 3rd Rock from the Sun). New episodes of The Librarians premiere on TNT Sundays at 8 p.m. (ET/PT). The series is produced by Electric Entertainment, with executive producers Dean Devlin, John Rogers, Marc Roskin and Noah Wyle.